Aligning your heart with your head these days is no easy task. We are constantly being pulled with facts, information and mental rationalizations that cause many of us to overthink life which only causes our heart to respond to our overthinking with emotional outbursts and swings in our mood. In a world where there is so much our senses are taking in to process mentally and emotionally, not to mentional psychologically and spiritually how does one stay balanced? How do you aligned your heart with your head and feel steady at the wheel of life? The first thing to do is to just be aware of how a thought triggers your emotions. So if a thought comes to mind and you immediately get an uneasy feeling, stop and just notice how the thought affected you. Then see if you can come up with a thought that is the exact opposite. By doing this you negate and balance your emotional response. If you had a thought that scares you then what thought is the antithesis to that scary thought. Catch negative thoughts early and counter punch them with positive thoughts that you choose to have. The bottom line is be more conscious of what is going on in your head and take control of your thoughts. Second, notice if you have an automatice emotional response to something that happens even prior to you being aware of any thought going through your mind. And then just say, “Wow! That really triggered me. I must have an emotion built up inside me that needs to be released.” And then just acknowledge the emotion and let yourself feel it and let it go. It’s like when we see a picture that causes us to immediately tear up or when someone says something that we have an angry knee jerk reaction to. It’s when we resist our negative emotions and try to deny them that causes the build up and over the top responses. Unacknolwedged emotions stay with us. Acknowledged emotions are more apt to pass through us. Third, when you have a wave of peace come over you, even if it’s only a slight feeling and short lived, acknowledge the feeling and think, “Boy that felt good.” And sit with that state for as long as you can before you get distracted. For instance, a song could come on the radio or you see a heartwarming post or story on the internet or someone holds the door open for you as you approach a store. It could be anything, big or small, that makes you feel calm, appreciated and taken care of even for just a fleeting moment. Treasure those moments and purposefully think thoughts that build on the momentum of feeling good. Our world today is filled with extremes and our emotional pendulum is swinging wildly unless we do things to purposefully slow it down. By being more aware of how our head and our heart our communicating with one another brings them in alignment and helps us feel more centered and steady at the wheel of life. I’m sure you’ve heard the sayings of being in “the zone” or “in the flow” or “in the groove.” Intuitively we know what it means. We’ve all been there, even if only briefly. We experienced it way back in childhood as we jumped rope in a rhythmic beat or clapped our hands in unison as we sang a song in class. Human beings from a very young age have the innate ability to get in the “flow” of life. In 2009 Mihalyi Csikszentmihalyi wrote a whole book on the subject. The title of the book was simply “Flow.” He described the flow state this way. 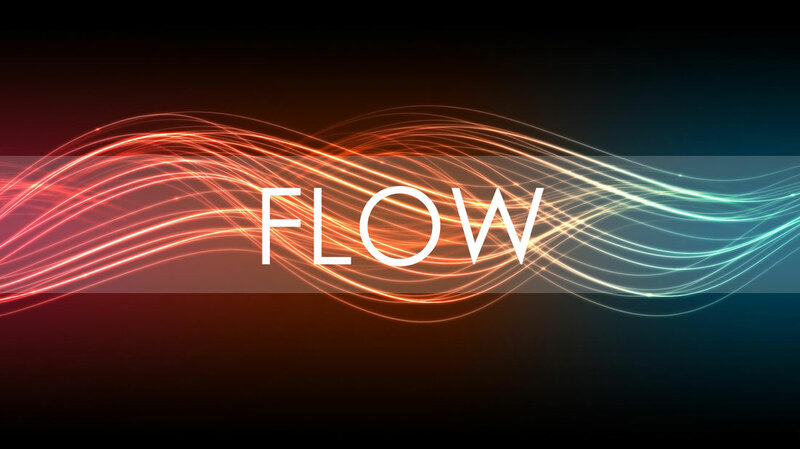 Do you know what your flow state is or what it feels like? How often would you say you’re in a flow state? Multiple times a day? Once a day? A few times a week? Rarely? If being in the flow state means we are at our peak performance then shouldn’t we strive to get there more often? Especially in areas of our lives that matter most to us. What holds us back? In the book Flow there is a famous chart shown here. In a very elementary picture we see exactly where the flow state is. It is where our skills and our challenges line up. If these two are not in alignment, we are not in flow. Simple enough, yes? But is it really? This chart cannot represent what is going on at a deeper level. The flow state is really an emotional experience where we “feel” our skills line up with our perception of our challenges. To get in our flow state more often we not only need to strive to align our skills with our challenges but we need to be cognizant of our emotional and perceptional state as well. How many times do we have the necessary skills that match up with the challenges before us and and yet we don’t experience flow? For some reason we hold ourselves back. Something gets in the way. Usually that something is an emotion or an unconscious, perceived belief. This is where understanding ourselves at the emotional level is crucial. 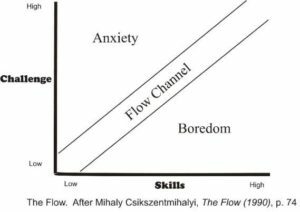 The flow state is not as simple as Csikszentmihalyi makes it look. Fear of rejection, failure, judgement, making a mistake are all flow state killers. They affect how we feel about our skills. Limiting beliefs or misperceptions are also killers of flow. Instead of focusing on matching our skills with our challenges we should strive to match our emotions with our desires. In other words, aligning our head with our heart. If you’re not experiencing a flow state in your life or business on a regular basis stop trying to approach it from merely adjusting your skills or challenges. Those adjustments only go so far. There is a deeper issue going on. Examine the emotions and perceptions and limiting beliefs that are behind the results you are getting. Quit beating yourself up for not being able to move the pieces around to make things work. Acquiring more skills may not be the answer. Lowering the bar and diminishing the challenges probably won’t do the trick either. To get into your flow state more often be sure you are clear on the emotions of your heart and know the underlying beliefs in your head and work at those levels if there is a disconnect. Flow is an inside job. Start doing the inner work and your flow state will be sure to follow. Anxiety has unfortunately become a common, everyday feeling for many of us. It’s hard to go through a day without having a handful of anxious thoughts or fears invade your mind. Never before in history have our brains been asked to process more information than in the times we live in right now. The speed of information in which we have access to has caused many of us to be in sensory overload. It’s no wonder so many of us our feeling anxious and worried. One way we have been able to measure anxiety is to see the changes in our brain waves when someone is feeling especially anxious. We have five types of brain waves occurring all the time in various intensity of frequency. These five brain waves are called gamma, beta, alpha, theta and delta. Anxiety is a sign that one or more of these brain waves are vibrating at too high of a frequency which can be caused by external or internal stimuli. If you’re interested in reading more about brain waves here is an article that explains them in more detail. Here are five ways to naturally slow down your brain waves to help you feel less anxious. Yes, it might sound simple but you will be amazed at how much you can calm down your anxious feelings by just focusing on your breathing. Think of anxious thoughts as if they were an upset, scared little child inside your head and all they needed was something to distract them long enough to stop the momentum of their fear. When you focus on your breath you distract your consciousness and calm down not only your brain waves but in turn every system in your body starts to calm down as well. If you want to take your breathing to the next level you can sit in a comfortable position, close your eyes, and focus only on counting your breaths. When a thought comes to mind, other than the counting, you simply acknowledge the thought, and go back to counting your breaths. Try to count to higher and higher numbers each time you have to start over. Or you can focus on a flickering candle or the hum of a fan. Anything that can keep your focus. One of the goals of meditation is to slow down your brain waves to a theta state which is where we are in our most relaxed state. If you want add another dimension to your meditating experience you can listen to calming music while you meditate. Classical music is good for this as is listening to certain frequencies that are specifically calming for the brain. When we listen to certain frequencies, music included, it entrains our brain waves to match what we are listening to. The 528 hz frequency is an especially good one because of its healing nature. It’s a great one to listen to while you sleep too. Any kind of mindful, rhythmic exercise is helpful to calming the brain and reducing anxiety. You can try walking meditations that incorporate music, breathing and physical movement. Yoga is another form of mindful exercise that requires focus on the body and breathing. But any form of exercise that increases your endorphins, gives the brain a rest and connects the mind and body will do the trick. The important thing is the exercise be an enjoyable experience for you and you look forward to doing it. Worry is a specific kind of future oriented thinking that causes anxiety. Worry is actually a fear not about a specific event that could happen but is a projected fear of the emotions we will experience if that event does take place. What you need more than anything when you worry is to acknowledge the present moment and do things that ground you and help you feel safe right now. Journaling your present feelings and fears is a way to get them out of the mind and body. Your fears lose their control over you when they are reduced to words on paper. Another great journaling exercise to is to go on a “gratitude rampage” and write everything that you can think of that you are grateful for in 5 minutes. The 5 minute time crunch forces your brain to use your heightened emotional state to channel that energy in a positive direction. This creates an uplifting mental momentum that you can continue once you put the pen down. Talk about an energy shifter. There’s nothing like filling your whole being with thoughts of gratitude and then focusing on the task at hand when you are coming from a state of appreciation. Last but not least you can use EFT (tapping) as a way to express and release your thoughts and feelings. If you are feeling particularly anxious or worried it helps to ask questions as you tap, such as “what is the worse thing that can happen if such and such comes to pass?” Or, “what is the root cause for this scary thought?” Or, “what am I really afraid of?” Invite your subconscious to have a conversation with you and help you answer those questions. You might be amazed at the answers you get. There are many ways to use tapping to reduce anxiety. Not sure what tapping is? Read my blog here that explains it. 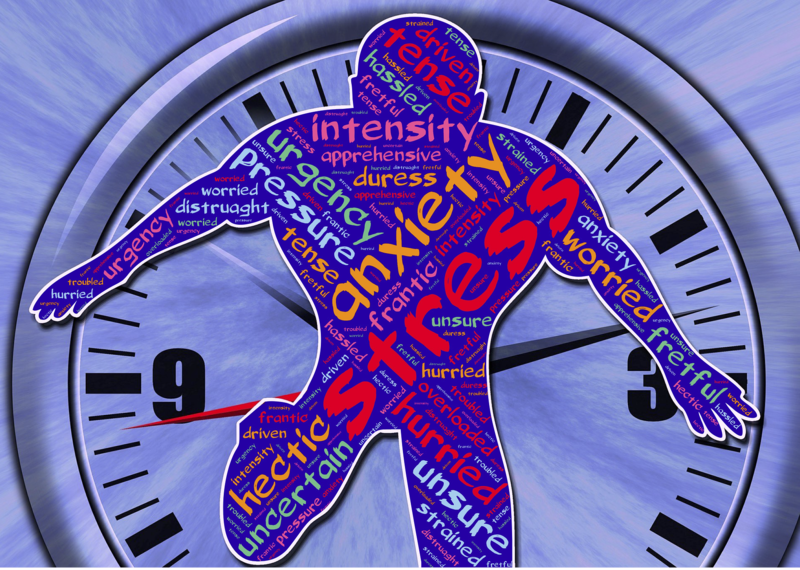 The bottom line is that anxiety and worry are states of mental stress that can be combatted and mitigated by becoming more mindful of needing to change your brainwaves and engaging in activities that help your brain slow down where it can more easily and gracefully perform its function and allow you to experience life from a more balanced state. Do You Know Why You Procrastinate? Are you a procrastinator? Do you notice that you habitually, or at least more than you’d like, put off doing certain tasks on your “to do” list? Have you ever thought about why you procrastinate? There are actually many reasons for procrastinating. Here are some of mine. Like most people I hate making mistakes. I hate failing even more. I know for a fact that in the past I haven’t done some things merely because I was afraid I’d do it wrong. God forbid someone thought I was stupid or incompetent. My tender little ego just couldn’t handle the judgement. I’m guilty of procrastinating because I didn’t feel confident about what I was doing. Sometimes I put off doing something because I have this need to do it perfectly. I’m not afraid of failing, just failing to do it “just right.” For instance, I can put off writing because my perfectionism gets in the way. The words aren’t coming and if I can’t say it just exactly right, then I have a tendency to not write at all. So for me, procrastination is a sign of my perfectionism surfacing. Sometimes I’ll put off doing something that is super important until the last minute like paying bills or doing some kind of accounting work. If I wait long enough, then I convince myself that it’s a much higher priority than anything someone else would want me to do for them. I rationalize that I haven’t got the time because what I’m doing is so much more important than other people’s wants and needs. This gets me out of having to do mundane chores because I’m engaged in a higher purpose activity. Procrastination is a sign of needing to feel like I’m doing something important. Sometimes I put off doing work on a seemingly important goal. When I reflect back on that time period I realize the reason I wasn’t motivated was because it just wasn’t the right time. Part of me was ahead of myself. There was an order that needed to take place and intuitively I sense that, and hence my procrastination. That happened prior to writing my first book. I had this urge for years to write a book but I kept putting it off. My husband and I looked at buying a business and when that fell through all of a sudden the inspiration hit me and I my writing miraculously took off. Procrastination can be an intuitive feeling that guides you to do things in a certain order. Procrastination can occur when we don’t want to have to tackle something alone. This usually happens when you have a huge, laborious chore to do, like cleaning the attic and you want company or some moral support as you tackle the project. The project doesn’t have to be difficult, just time consuming. I procrastinate because I want someone to do a chore with me to make it go faster. Clock deadlines and doing something for someone else are great motivators. Some chores just need that extra kick in the backside to get us moving. We need something or someone outside ourselves to motivate us. It’s amazing how expecting house guests can motivate you to clean a closet. Sometimes we put off a chore because we need to feel the burn of the deadline lighting a fire under us. We need something outside ourselves to ignite that surge of adrenaline that we get when the 11th hour is upon us. Procrastination is a way to motivate ourselves, and by waiting until the last minute it gives us the energy to do them. Procrastination can also be a passive aggressive way of controlling others. By making them wait they might become so frustrated they end up offering to do the job for you. Kids are notorious for doing this as well as many adults. It’s known as “upwards delegation.” I have to admit I’ve been guilty of putting off chores so long that my hubbie did them for me. That’s my short list. 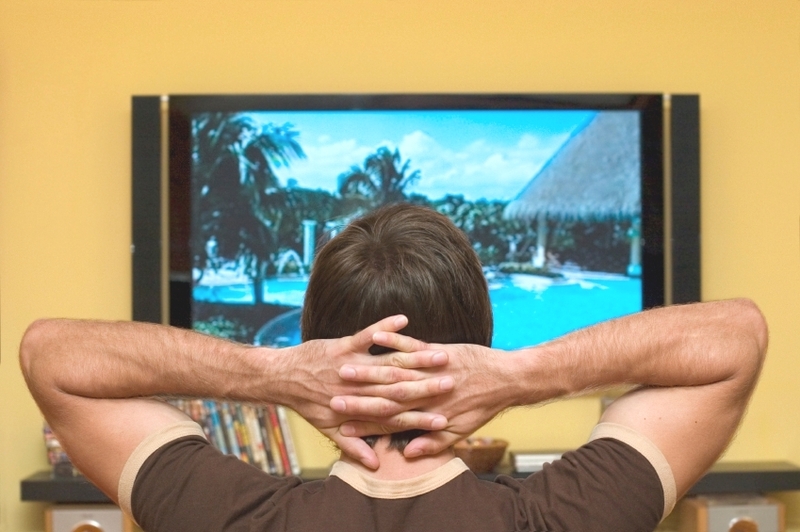 Did you see yourself in any of these excuses for procrastination? Next time you find yourself procrastinating see if you can figure out why. It’s actually pretty enlightening. 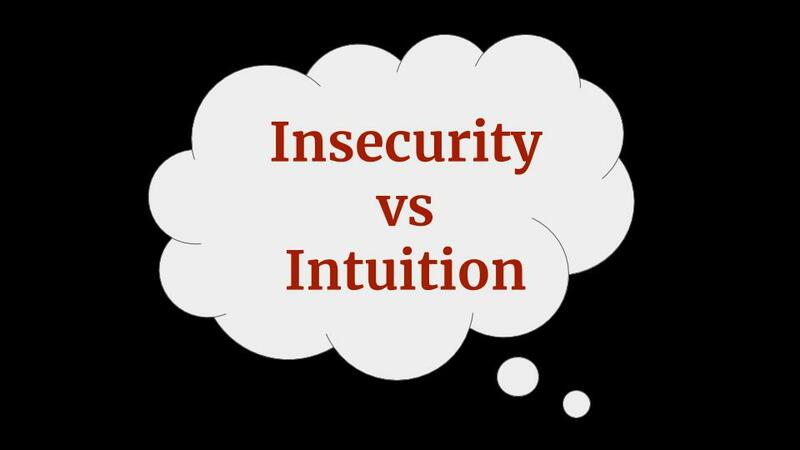 How do you tell the difference between an insecure thought or feeling that you should ignore and an intuitive thought or feeling that has emerged to protect and guide you? Here’s a few basic hints to help you tell when what you are feeling is insecurity and fear based and when it is your intuition kicking in trying to get your attention. 1.) Insecurity is usually a head game. It can start in the body, such as when your heart starts pounding when you’re nervous about something, but it quickly moves into your head and the chatter begins. People refer to this as monkey mind. It’s when you can’t seem to quiet the thoughts down and they’re all negative and undermining. Intuition usually starts in the body as a gut feeling but it can also be words that seem to appear out of nowhere. No matter how hard you try to shake off the feeling it won’t budge. Your body knows what it feels and if you can put it into words the words are simple and firm, not messy or snarky. 2.) Insecurity feels heavy and is an energy drainer. It makes you want to shrink and play small. Intuition feels light and is an energy giver. Even when you face something that is stressful or scary you have a deep sense of trust that it’s going to be ok and that trust gives you the energy to act. 3.) Insecurity triggers the past and you find yourself remembering and comparing previous experiences which have influence over what you are feeling now. Intuition, on the other hand, is a present moment experience that doesn’t seem to be influenced by the past or even present contradictory facts. You know what you know and feel what you feel and it needs no explanation or justification. 4.) Insecurity triggers an amygdala response which is that part of the brain that gives us a fight or flight response. Insecurity makes you feel like you want to argue your case. Argue for your limitations. Intuition on the other hand is more apt to trigger curiosity and questions that bring more clarification. Insecurity seeks excuses. Intuition seeks truth. 5.) Insecurity is reactionary and intense, almost manic and defensive. Intuition can be reactionary as well but the reaction time is slower, calmer and feels grounded. Intuition doesn’t feel like it needs to defend itself. It can take opposition and remain standing. 6.) Insecurity makes you feel like your battle is “out there” and how you feel has everything to do with the external and your comfort level. Intuition brings you inward and the battle is between your higher self that wants to protect you vs your higher self that wants you to grow. The external trigger is irrelevant. It’s all about what is ultimately best for your highest good even if that requires action that is uncomfortable. 7.) When faced with limited information insecurity jumps in and fills in the blanks. It needs a story, a narrative for explanation. Intuition is ok with mystery and the unexplained. So next time you have one of those moments when you feel unsure of yourself or you face making a difficult decision or do something that is a little scary use some of these criteria to determine is this my own insecurities talking or maybe it’s my intution giving me some guidance.